The Song DVD is a US-produced feature film inspired by the Song of Solomon. It's a tale of faith, family and music, based on the Old Testament account of king Solomon's life. Aspiring musician Jed King is wise beyond his years but struggles living in the shadow of his father. When he meets Rose, the pair quickly fall in love and marry, inspiring Jed to write 'The Song'. The track is an unexpected hit, propelling Jed into the limelight. But can his faith, and their marriage, survive the trials and temptations of life on the road? Filmed on location in Nashville and Kentucky, The Song is bursting with American roots and folk music, which will delight musicians and country-and-western fans. If you liked recent hit movie Walk the Line, then you'll love this. With star performances from up-and-coming actors Caitlin Nicol-Thomas (Nashville), Ali Faulkner (Twilight) and Alan Powell, from Nashville Christian band Anthem Lights. Distributed in the UK by Sony, this will work on all UK DVD players. The British Board of Film Classification have given The Song a recommended minimum viewing age of 12. 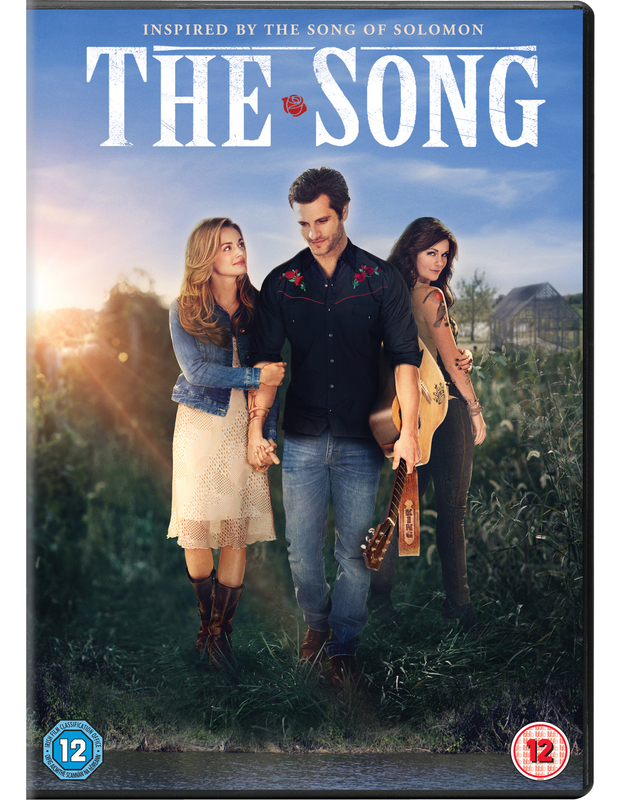 The Song DVD a musically-driven romantic drama set in the American South, which allows you to experience afresh the twists and turns of the Biblical story of Solomon. Interspersed throughout with verses from Ecclesiastes and Song of Songs, this movie will inspire you to return to the Old Testament books again and again. The Song DVD was published by Sony in May 2015 and is our 13079th best seller. The ISBN for The Song DVD is 5051159789242. I feel that I should give some context to my review - Country music is my guilty pleasure so films set in Nashville have a special place in my heart. I have also had the pleasure of meeting Kyle Idleman, the Pastor, author and speaker behind City On A Hill - and I've heard him speak of his heart behind the films they produce. But even without that background I think I'd have still enjoyed The Song. The film is gritty in places, has strong use of scripture and practical application, it makes us look at our relationships anew. The acting is good quality and the film doesn't shy away from difficult issues. The narration of scripture did occasionally feel out of place for me, but it proudly stands as a faith based film with some really good cinematography. I wouldn't recommend the film for young children, but with teens and older this would work as a family film although it's really aimed at couples in the way that 'Fireproof' was. Lastly the music - I loved the soundtrack and if you're a fan of Country music, you'll want to see The Song. Got a question? No problem! Just click here to ask us about The Song DVD. Unfortunately, my husband cannot follow the story line wihout subtitles, because he is very hard of hearing. Aspiring singer-songwriter Jed King is struggling to catch a break and escape the long shadow of his famous father when he reluctantly agrees to a gig at a local vineyard harvest festival. Jed meets the vineyard owner's daughter, Rose, and a romance quickly blooms. Soon after their wedding, Jed writes Rose "The Song," which becomes a breakout hit. Suddenly thrust into a life of stardom and a world of temptation, his life and marriage begin to fall apart. The Song was filmed on location in Nashville and Kentucky - known for Americana music and family. Both figure heavily in the film. Music is more than a score in The Song, it is the backdrop from which the story unfolds. Viewers who love American music, indie singer-songwriters or dream of the allure of the road, will especially love The Song. Produced by a top-notch group of story tellers who believe in love, faith and family, The Song includes resources to strengthen couples and families.